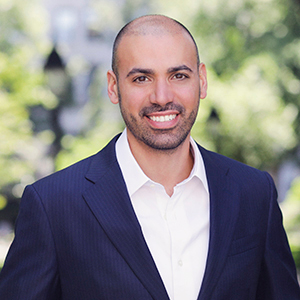 As an Associate Broker with more than ten years of residential real estate experience, Elan brings to each transaction his unique vision and his strong roster of strategic, professional and supporting relationships. He knows all the right influencers and industry professionals, and his connections help to seamlessly get the job done. Elan has extensive experience in property management and leasing, for example, and these connections are especially helpful to his rental clients. Born and raised in NYC, Elan has been a renter, and is now a homeowner, in Gramercy Park. His keen understanding of this vibrant and dynamic neighborhood enable him to provide his inner circle with inside information and in-the-know neighborhood insight. As a relatively new first time homebuyer, Elan knows what many of his clients are going through and have in store. His very recent experience renovating a kitchen has also been eye-opening and enlightening, and Elan is happy to share his wisdom. Being in similar circumstances to many of his home buying clients allows him to empathize with and be supportive of them. Elan is a true professional, and develops lifelong bonds with his clients, who often become close friends. He believes in unwavering / unparalleled honesty and disclosure, and that transparency and integrity promote a solid matrix of trust which is paramount in all professional and personal relationships. Integrity and trust are his not-so-secret weapons. Not surprisingly, the majority of Elan’s business originates from neighbors, friends, referrals from friends and repeat business.